If you’re looking for the perfect musical theatre experience for your child, then look no further. 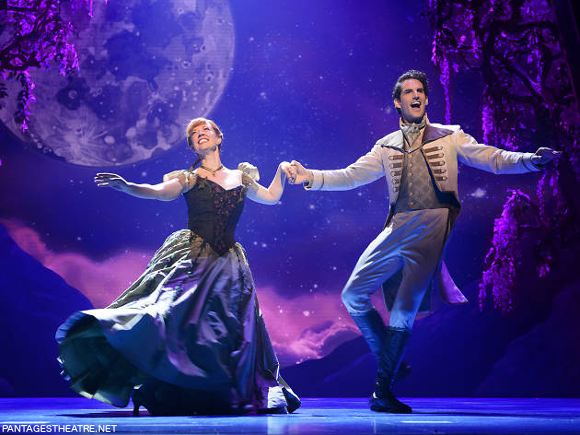 This year, the global hit phenomenon that is Frozen sweeps in to take to the stage at the Pantages Theatre. 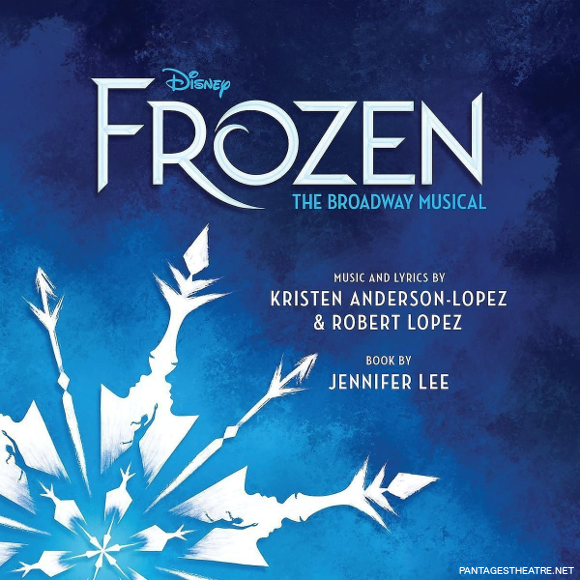 Containing all the songs you know and love, and several new ones besides, Disney’s Frozen: The Musical takes the thrilling winter tale of the relationship between siblings and injects it with an all new magic that can only be experienced in theater. Don’t miss out – choose your show from the list below and book your tickets early to be sure of your place!! Unless you’ve been living under a rock for the past few years, you’ll have doubtless heard of Frozen. 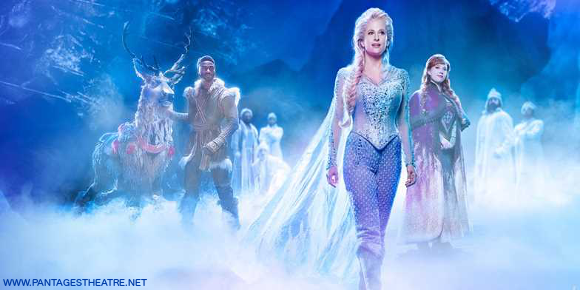 Based on the Hans Christian Andersen Ice Queen fable, the kingdom finds itself under a blanket of ice and snow when Queen Elsa, unable to any longer control the magic powers that were bestowed on her as a child, accidentally unleashes winter upon the world and flees to the mountains to live in solitude. It’s then left up to her younger sister Anna and her companions to set out on a quest to find Elsa and return things to their rightful order – both metaphorically and physically. This is the Disney animated film that bucked the traditional fairy tale and changed the story not into one where the prince finds the princess, but where two young women find themselves, and the relationship between the two takes centre stage. So it’s no small wonder that the team assembled behind the musical production have won 16 Tonys between them, including the Oscar-winning Kristen Anderson-Lopez, the EGOT-winning Robert Lopez, responsible for the music and lyrics, Oscar winner Jennifer Lee responsible for the book, Tony and Olivier Award-winning Michael Grandage in charge of direction, and Tony winner Rob Ashford orchestrating the musical’s stunning choreography. The results have been nothing short of phenomenal, with Frozen: The Musical earning rave reviews from critics and adult audiences, who praised the new addition’s to the franchise’s already superlative score as well as the stunning scenery and visuals, stretching the boundaries of just what can be achieved via the medium of musical theatre, a particularly noteworthy addition being that of the reindeer Sven, brought to graceful life by a talented dancer, and the stunning talents of the singers – Elsa’s live rendition of “Let It Go,” is likely to leave you, as it has done many audiences in the past, simply speechless. But, perhaps most importantly, the musical theatre adaption has consistently delighted children – who, after all, the show is ultimately aimed at. All in all, Disney Theatrical productions brings you truly astonishing performance to delight the whole family – unforgettable frosted landscapes brought to life by the incredible minds behind the special effects and set design team, powerful performances from the talented actors, music to take your breath away, and a compelling, moving fairy tale for a modern audience. It’s everything you could wish for in a Broadway musical and more – do not delay in getting your tickets to this fantastic production, because they aren’t expected to last for long! !